and best spent building your business. In order to better serve you, Precise Accounting comes to your place of business for your accounting consultations. This eliminates the time wasted gathering up your files, transporting your files, repeat trips for forgotten files and of course, the unproductive time in your accountant’s waiting room. This also enables us to better understand your business. Only by thoroughly understanding your business are we able to be most effective for you. With the complexity of government regulations and banking needs, it is impossible and totally impractical to stay 100% on top of everything in the accounting field and still stay on top of the ongoing changes in your business. To maximize your success, you need to focus totally on growing your business and outsource the other functions of your business to companies that specialize in those particular functions. Precise Accounting will give you the edge your business needs to stay on top of your financial situation. With the expertise that Precise Accounting brings to the table, your business will have the best. It is the mission of Precise Accounting to help clients reach the profit level that they desire and to direct them in good business practices and marketing decisions to direct the financial course of their business. If your present accounting system does not provide the same vision, then it is not working for you. The seeds of Precise and Consulting Services, Inc. were sown in 1978. Sandra Steele was asked to take over the accounting practice of an ailing accountant in Hopewell, PA. She serviced his accounts while he was sick and when he passed away several years later, a few of those businesses returned to her. Sandra's bookeeping and tax services continued on a part-time basis until 1995. In 1995, Precise Accounting by Sandra L. Steele entered a growth stage as the practice took on the attributes of a full-service accounting practice. Nontraditional services such as preparing business plans, comprehensive business analysis services, and financial services were added. On June 1, 1999, Precise Accounting by Sandra L. Steele-Dauer became Precise Accounting and Consulting Services, Inc. It provides traditional accounting and tax services coupled with marketing and financial services to provide clients with a complete package to handle the ever-growing needs of the small businessperson. 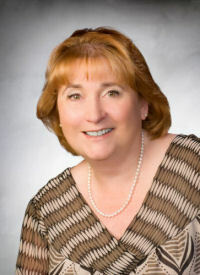 Sandra L. Dauer began her career in accounting in 1971 as a bookkeeper for a public accounting firm in Pittsburgh. There she learned the intricacies of bookkeeping and accounting to provide financial reports to businesses. She furthered her knowledge through experiences in the modular home industry and the welding industry, taking on new accounting responsibilities with each position. In 1976 she completed the H & R Block Tax Course. In 1995 she graduated from Geneva College in Beaver Falls, PA with a BS degree in Business Administration. She is also certified to teach Accounting, Marketing, and Office Technologies in secondary schools. She has taught non-accredited computer courses for the Community College of Beaver County. Check out Sandy's LinkedIn page for more info.